Wow. 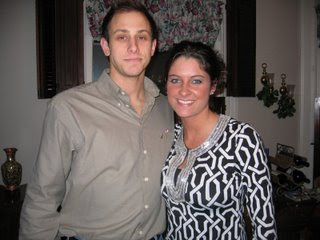 It just took me 20 minutes to figure out how to work my digital camera on my new computer. I got new camera software and my brain isn't fully awake enough yet today to figure this all out. But I think I got it. I guess we'll see. 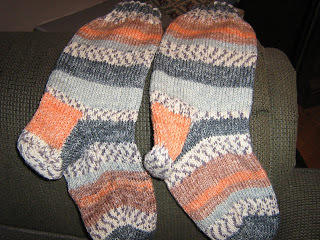 In other knitting news... finished Opal socks. FOR ME!!!!!!!! They don't even come close to matching but I don't care. I love the weight and feel of this yarn. These little buggers are going to be warm. I borrowed the books below from my daughter. If you haven't browsed through these yet, take a look. There are some truly adorable things in them. Perfect quick baby gifts. Once again, let me just say that I wish I could quit work and knit all day long. Ahh... Heaven! Sugar and Spice and Everything... PINK!!! Mr. C's getting a sister!!! Is there enough pink yarn??? I have no significant knitting to report. 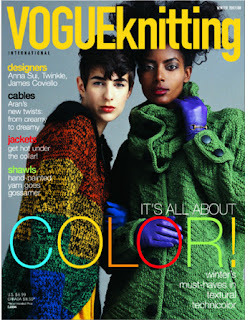 But next weekend my sister, our daughters, and a friend are going away to the nearby ski resort to knit (and eat :-). So lots of knitting should get accomplished by all of us. Hopefully we can keep my sister off the slopes long enough to knit. There are no other skiers among us except for my little pregnant niece who will have to sit this season out! It's excellent, but you have to really season it at the end. It's pretty bland to start out. And I'd do the whole pound of bacon next time instead of just 8 oz. These need blocked, but they are finally finished and now it's back to work on Colin's sweater. I did have to buy more yarn. 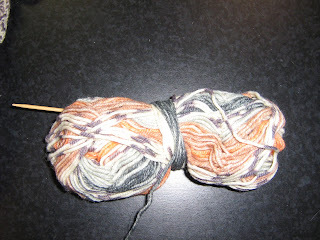 I found out that this yarn is heavier than the Opal I'm used to and that is why I ran out. I didn't even notice the difference because it's been a while since I used Opal. I tried to match them and failed. Interestingly, I noticed after I added the new ball right below the heel on the second sock, and was too far gone, that the pattern was going in the opposite direction on the second skein. After unwinding half the ball, and trying to find the same place in the pattern, I finally gave up and started knitting. It finally hit me after looking at it, that the pattern was reversed on the second skein. Duh. 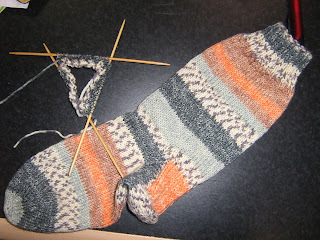 If you look at the thin solid grey stripe on the foot, and follow the pattern on both socks, you will see what I mean. It shouldn't have been that difficult to figure out. But at the time, I just couldn't see it. I'll know to look for that the next time. I'm taking time out from Mr. C's cable heavy sweater to do a quick pair of socks.